The retail property company’s shopping centre at Lime Square in Openshaw, east Manchester, has started installing charging points already, while Marshall’s Yard in Gainsborough will follow with installation planned for later in the month. The company’s newest centre, Fox Valley in north Sheffield, will deploy InstaVolt units later in the year. 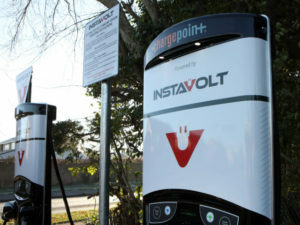 InstaVolt charging is offered on a pay-as-you-go basis with no subscription or membership required – drivers can just use their contactless credit or debit card to pay. Next: Are car brands failing potential EV buyers?